Tagatose is a new, natural sugar obtained from lactose or milk sugar, but it can be found in trace amounts in dairy products. Although similar to table sugar in terms of appearance and sweetness, tagatose differs from them in the sense that it has fewer calories and has a glycemic index (GI) number of three. 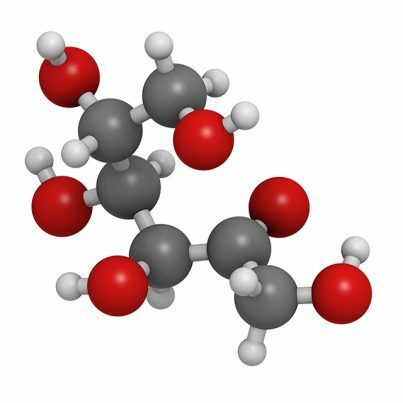 Tagatose is most frequently used as a sweetener, stabilizer, or flavor enhancer in numerous low-calorie food products, where it is often mixed in with fillers to dilute its sweetness. The small intestine only absorbs 20 percent of the tagatose that enters the body, meaning that the rest of it is passed into the large intestine. While there, tagatose can encourage the growth of harmful bacteria that can cause minor digestive issues like diarrhea, flatulence, and nausea. However, this has only been observed in individuals who consumed amounts of tagatose that exceeded 45 grams a day. Tagatose is metabolized by the body in the same way as fructose, and is therefore not safe for consumption by individuals suffering from hereditary fructose intolerance. Those with this condition will often experience nausea, abdominal pain, vomiting, and low blood sugar after they’ve ingested fructose. The repeated consumption of fructose can result in kidney and liver damage over time. Moreover, tagatose has been found to boost blood uric acid levels by a small margin, but not so much that it can lead to gout. However, this should still be taken into consideration by individuals who currently have this condition. Too much tagatose can be bad for the digestive system since it can’t be absorbed easily and can cause gastrointestinal distresses when ingested in great quantitites. Tagatose is generally safe when consumed infrequently and in small amounts. However, too much of tagatose at a time can harm the digestive system and increase the risk of flatulence, diarrhea, and bloating. In addition, it’s not recommended for people suffering from hereditary fructose intolerance, nor should it be ingested in large amounts by those with gout.